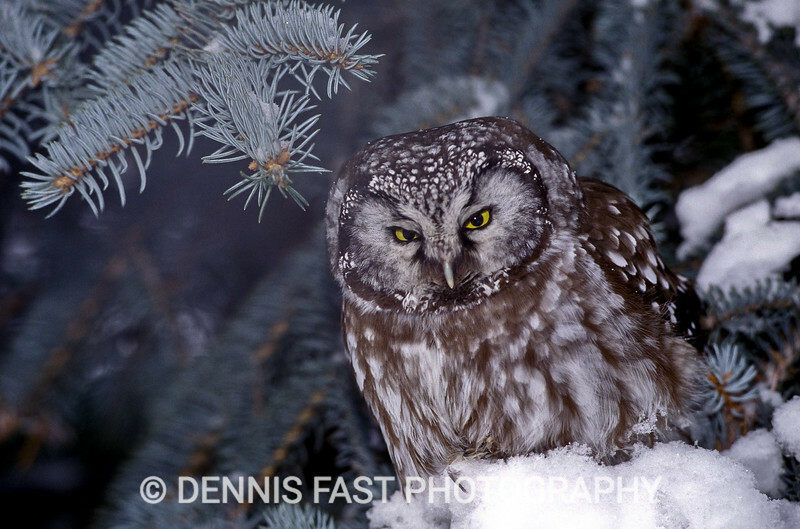 The Boreal Owl is one of Canada's most elusive and sought after owls. Birders and photographers sometimes travel great distances for an opportunity to see and to photograph these tiny raptors. As a result, I consider myself most fortunate in having had the occasion to photograph this bird three times in my own back yard! This bird was revealed to me by screaming Blue Jays. After walking around the tree three times staring carefully into the higher branches near the trunk of the tree where they prefer to hide, I suddenly realized it was right in front of me at eye level!